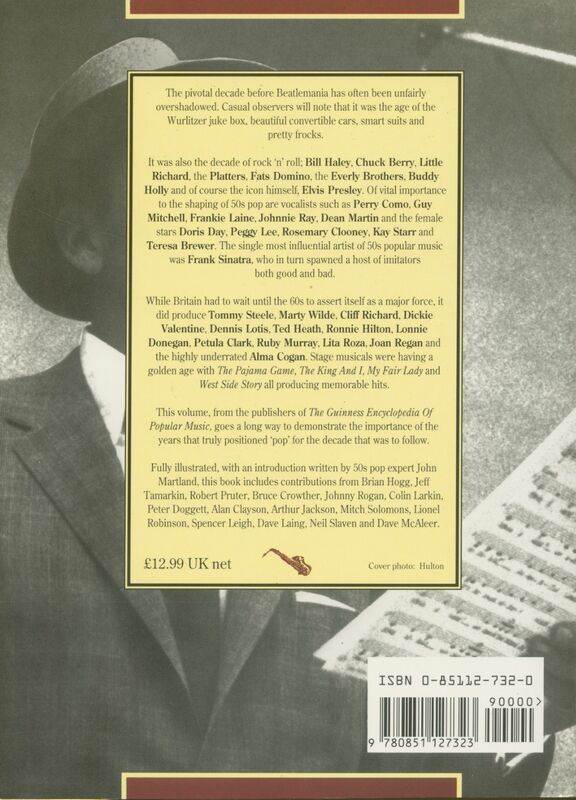 352 pages/Seiten; 23.5/17 cm; Paperback: Biographies of the stars of country music from Jimmie Rodgers to Garth Brooks, from Roy Acuff to Steve Young. 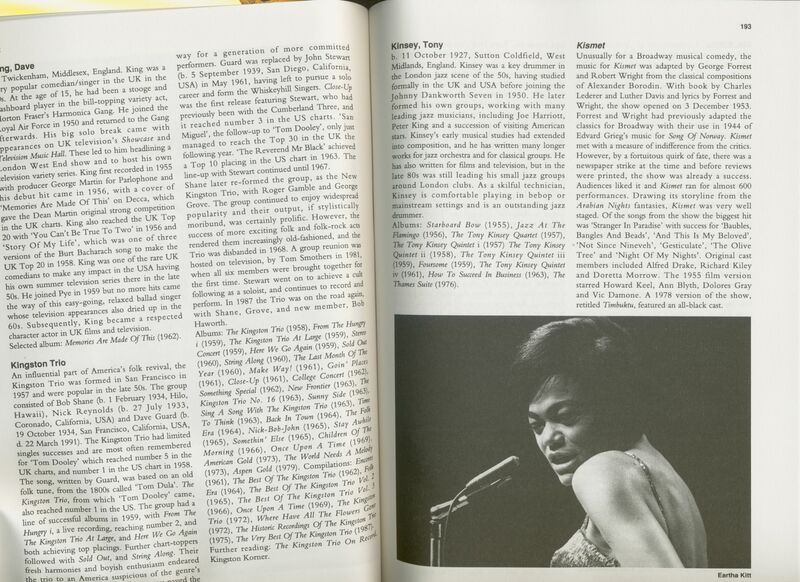 Includes lists of their album releases and lots of black & white photographies. 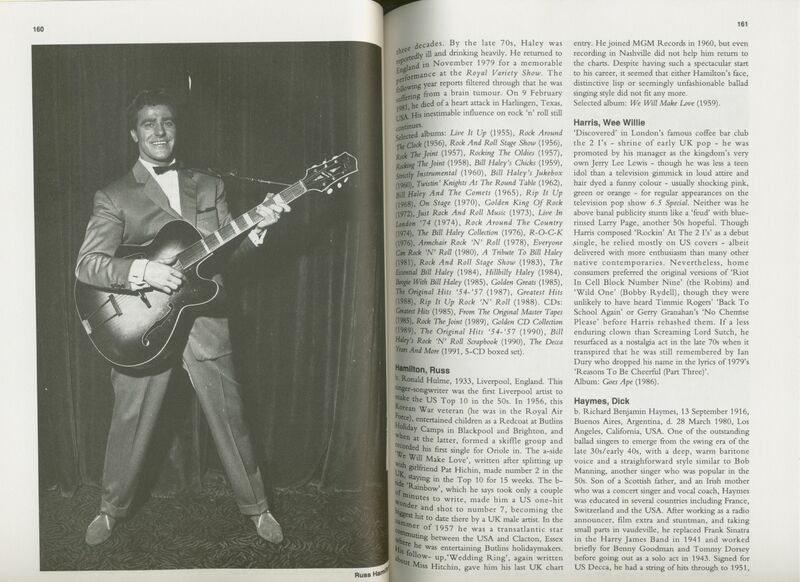 Biographien der Stars der Country Music von Jimmie Rodgers bis Garth Brooks, von Roy Acuff bis Steve Young. Mit LP-Diskographien und zahlreichen Schwarzweißfotos. The pivotal decade before Beatlemania has often been unfairly overshadowed. Casual observers will note that it was the age of the Wurlitzer juke box, beautiful convertible cars, smart suits and pretty frocks. It was also the decade of rock 'n' roll; Bill Haley, Chuck Berry, Little Richard, the Platters, Fata Domino, the Everly Brothers, Buddy Holly and of course the icon himself, Elvis Presley. 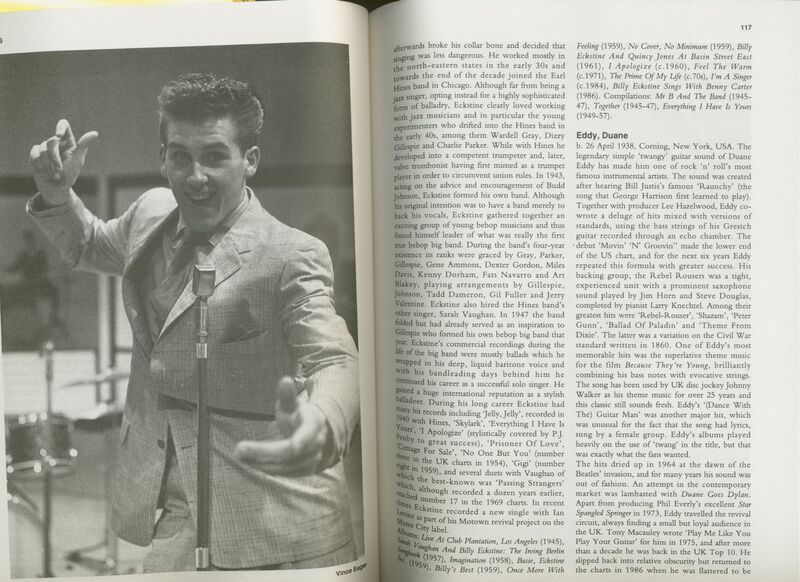 Of vital importance to the shaping of 50s pop are vocalists such as Perry Como, Guy Mitchell, Frankie Laine, Johnnie Ray, Dean Martin and the female stars Doris Day, Peggy Lee, Rosematy Clooney, Kay Starr and Teresa Brewer. The single most influential artist of 50s popular music was Frank Sinatra, who in tun spawned a host of imitators both good and bad. While Britain had to wait until the 60s to assert itself as a major force, it did produce Tommy Steele, Marty Wilde, Cliff Richard, Dickie Valentine, Dennis Lotis, Ted Heath, Ronnie Hilton, Lonnie Donegan, Petula Clark, Ruby Murray, Lita Roza, Joan Regan and the highly underrated Alma Cogan. Stage musicals were having a golden age with The Pajama Game, The King And 1, My Fair Lady and West Side Story all producing memorable hits. 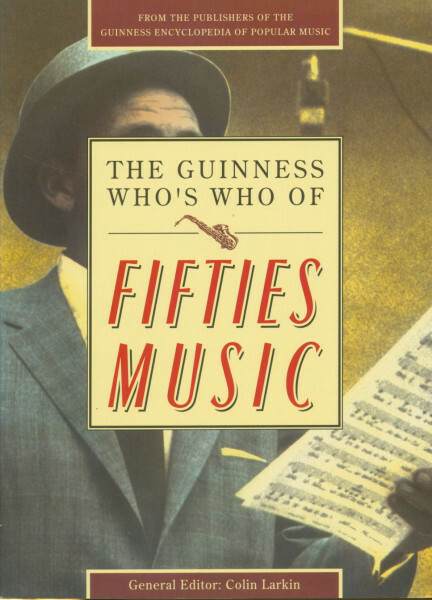 This volume, from the publishers of The Guinness Encyclopedia Of Popular Music, goes a long way to demonstrate the importance of the years that truly positioned 'pop' for the decade that was to follow. Évaluations de clients pour "Who's Who Of Country Music - The Guinness Who's Who of Fifties Music by Colin Larkin"